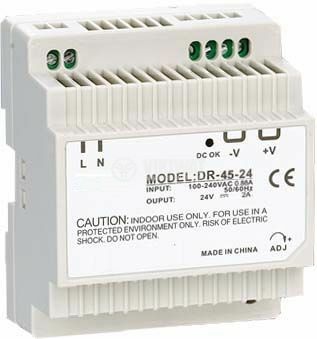 Universal switching power supply with option for mounting on a DIN rail. Rated output voltage 24 VDC, rated output current 2 A, rated power 45 W, overload and overvoltage protection. List Price 38.00лв. VAT Incl. 36.10лв. VAT Incl.